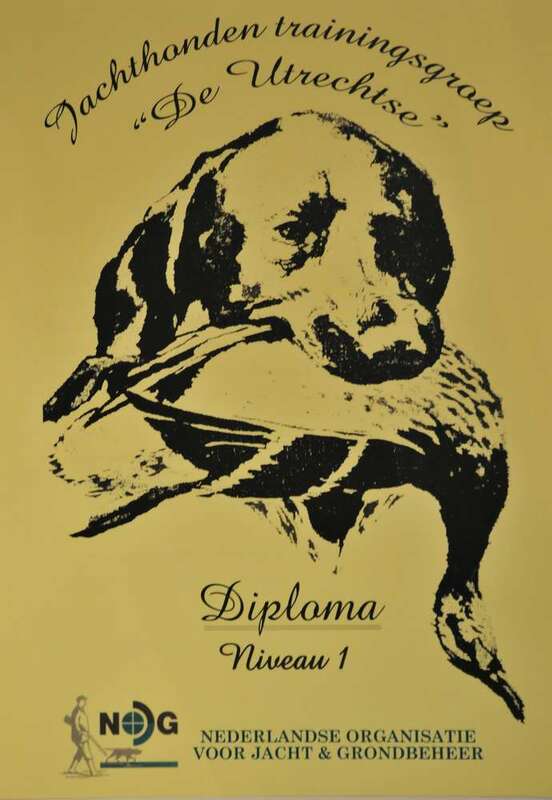 Yatzie today achieved her first official hunting diploma, won silver in her level and received this beautiful trofé with the fantastic result 57 out of 60 points! 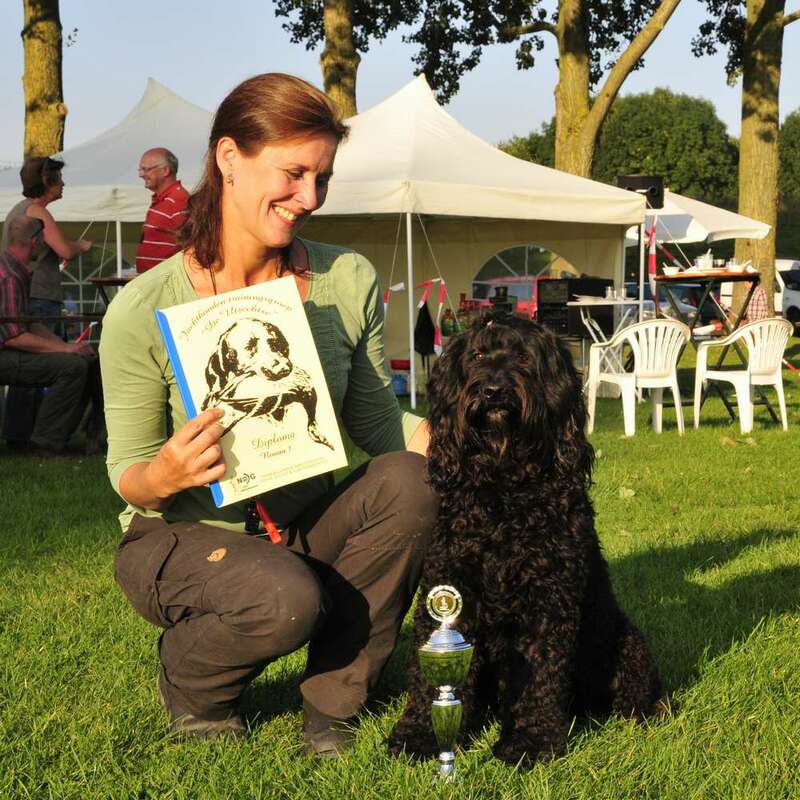 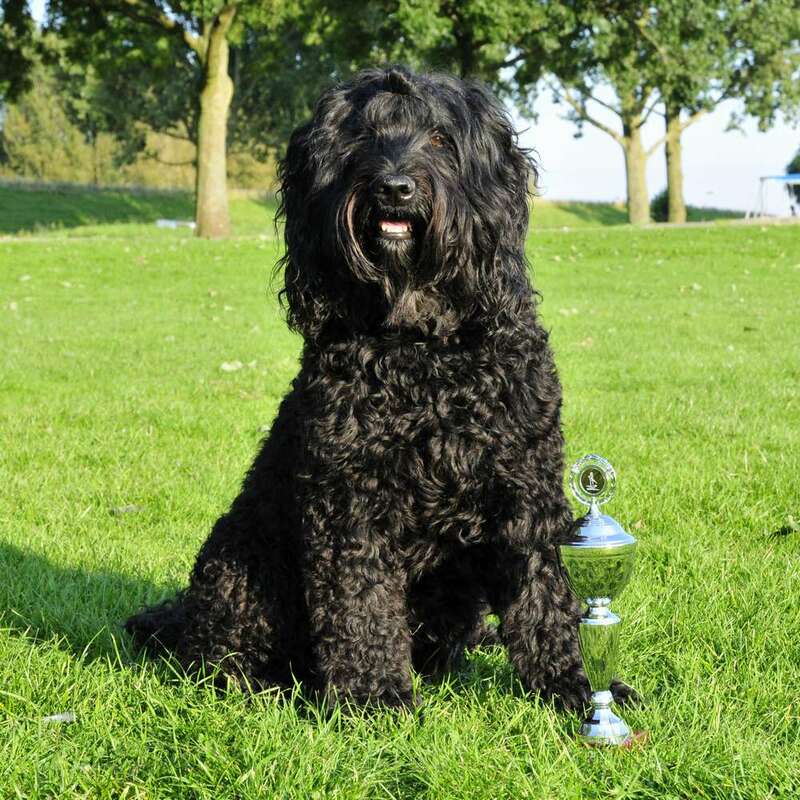 Around 40 dogs participated in the exam, on level 1 to 3. 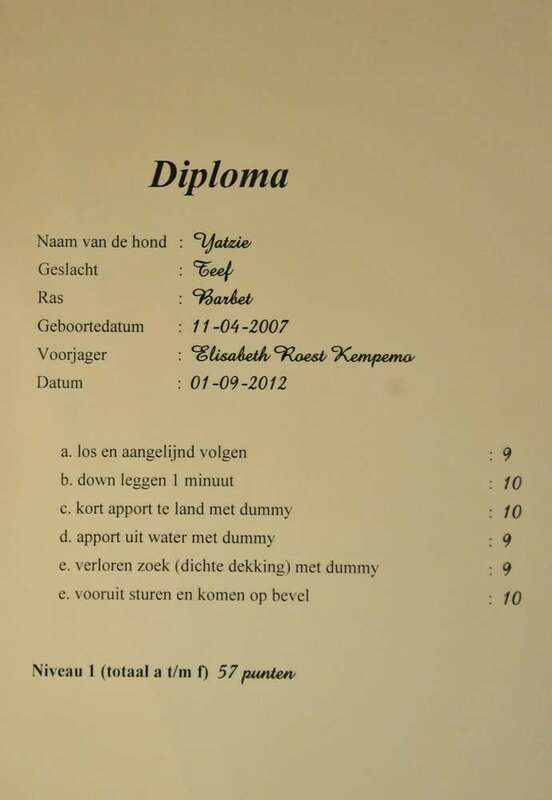 This was Yatzie's first exam ever and I am very proud of her performance! 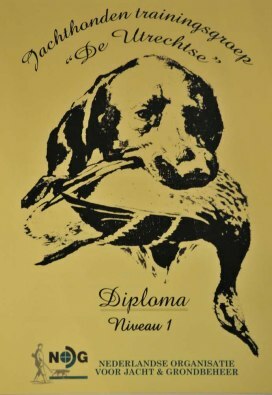 Level 1 exam includes lay and stay out of sight, follow leashed ad unleashed, send out and flute in, retreive a dummy from land and water and search and retrieve with a dummy out of sight (forest). She did everything steadily and without hesitation. 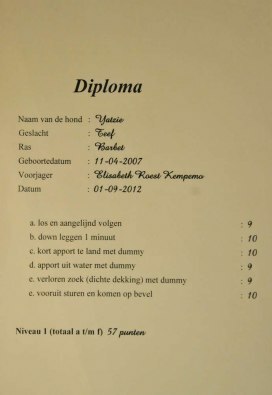 The exam was organized by the Nederlandse Organisatie vor Jacht & Grondbeheer. Congratulations and hurray for Yatzie!